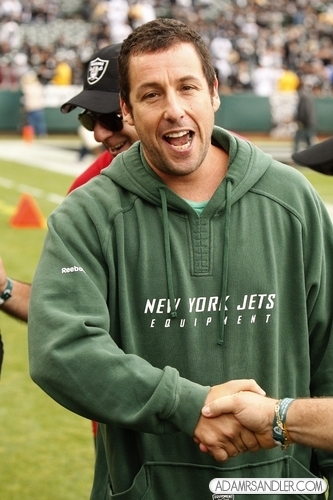 Oakland Raiders v. New York Jets game (Sept. 25). . Wallpaper and background images in the एडम सैंडलर club tagged: adam sandler. This एडम सैंडलर photo might contain स्वेट-शर्ट, स्वेटरशर्ट, and sweatshirt.